In today’s enterprise environments, most organizations use a central identity source to simplify authentication between various systems and platforms. For the majority, Microsoft’s Active Directory is by far the most widely used identity source to provide authentication mechanisms and security policies across the board. 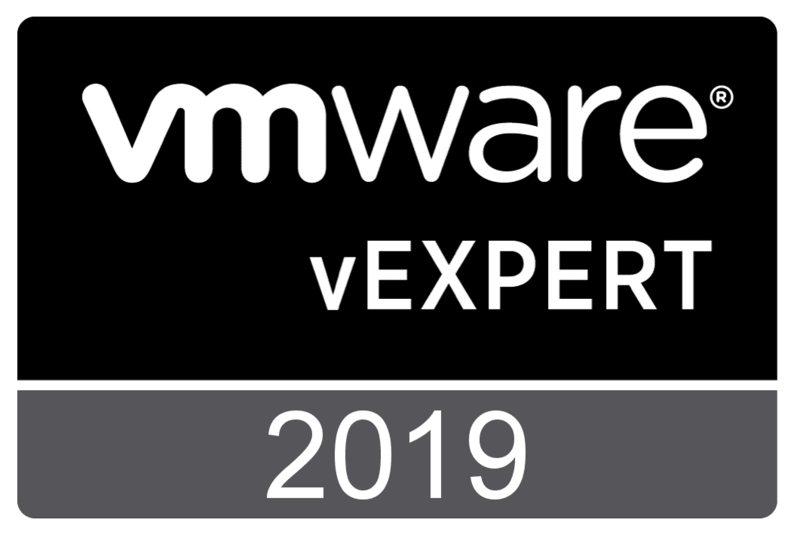 With the release of Nakivo Backup & Replication v7, the ability to integrate Nakivo Backup & Replication with Active Directory is a great new feature available in this release. Administrators can now take advantage of that same central identity source to allow access to the Nakivo Backup & Replication platform. Let’s take a look at how to Configure Nakivo Backup and Replication v7 Active Directory Integration. In order to configure Nakivo Backup & Replication for Active Directory integration, you need to first login with the default admin account which by default has a blank password. Once logged in, Click on the configuration “gear” icon. To setup the Active Directory Integration options, we click on the User accounts and Edit. 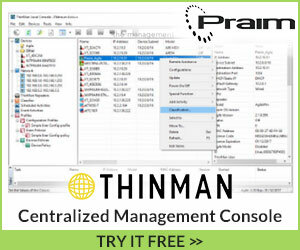 To enable Active Directory Integration for configuration, we select Enabled in the combo box. Once we have it flagged as Enabled we can then enter our Active Directory domain information in the form of a fully qualified domain name or FQDN. 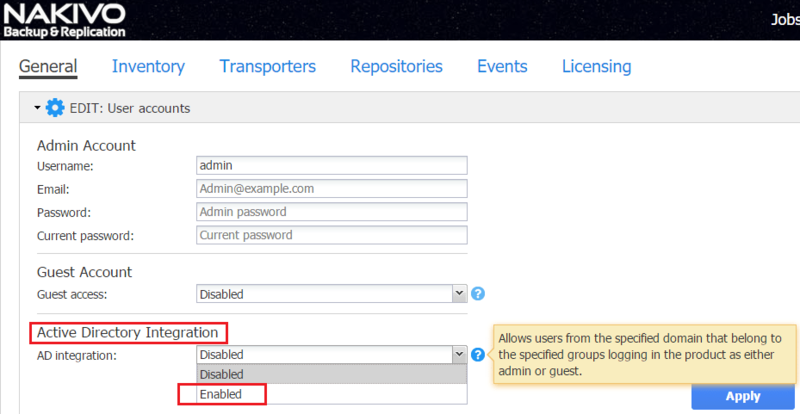 Notice also in this configuration section, we have the ability to map the admin account to a group or groups. This is also the case with the guest account. A quick note here. To have the Active Directory Integration mapping to the guest account work, you have to first enable the guest account which is not enabled by default. This is a simply combo box drop down action along with setting a password for the guest account. 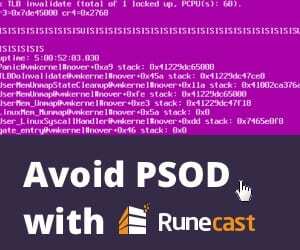 You can also give the guest account permissions to recover files & application objects if you choose and by extension, any Active Directory groups mapped to it. 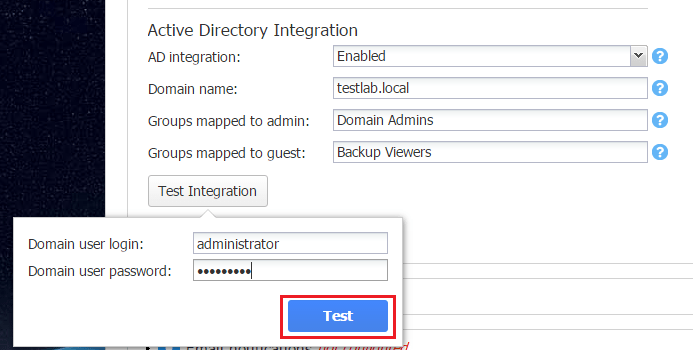 Once you have populated the Active Directory Integration configuration, you can click the Test Integration button which will test connectivity to the Active Directory domain configured as well as the existence of the configured group mappings. 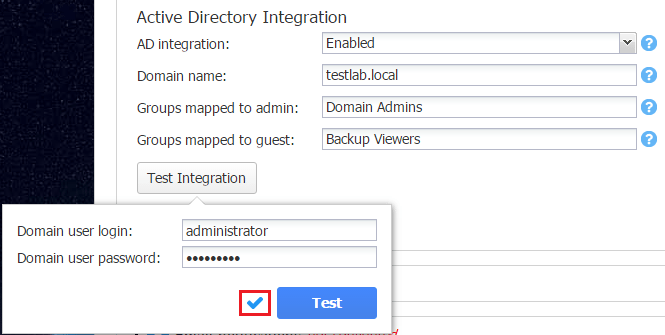 Once you click the Test Integration button, you are prompted to enter domain credentials to perform the test. Once you click the Test button after entering credentials, if successful, you will see a blue check mark appear noting the test was successful. After applying our configuration, we can now logout and log back in with users in the Active Directory groups we specified in the configuration to map to the admin/guest users. Here I am logging in with the administrator account which is in the domain admins group. Note, as expected, we have admin permissions which are able to create jobs, and so forth. Now, let’s test a user in the group we mapped to guest account permissions. 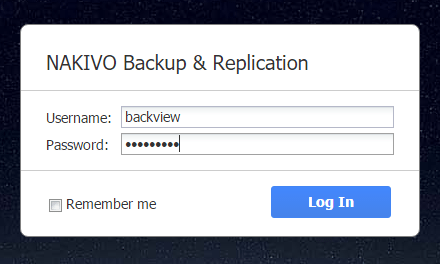 I had created a test user account called backview in Active Directory and made it a member of the Backup Viewers group that I had created as well. As expected, after logging in, notice the Create jobs button is not active. I could also not alter any of the configuration for the appliance as well which confirms the user account indeed has guest account permissions. Nakivo has incorporated a great feature for the enterprise in including the Active Directory Integration as part of Nakivo Backup & Replication v7. 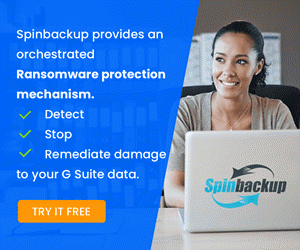 This allows for the use of Active Directory as the central identity source for Nakivo Backup & Replication permissions as well which helps to standardize the authentication process across the board including the enterprise backup solution. 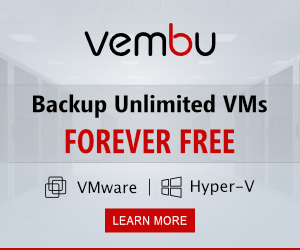 The process to configure Nakivo Backup and Replication v7 Active Directory Integration is intuitive and straightforward. 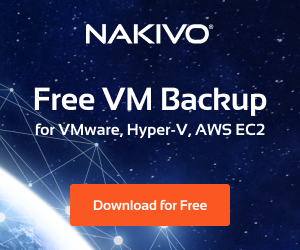 Nakivo continues to make an excellent backup solution that with each new release adds great features and functionality. Active Directory support is one of the new features that v7 brings to the table. 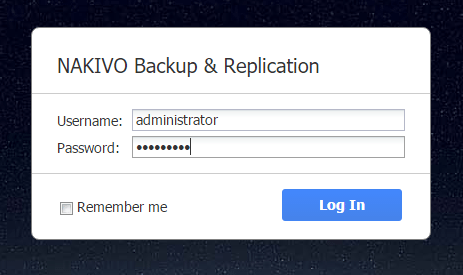 So if you haven’t already, check out Nakivo Backup & Replication v7 free trial!